HOW DO YOU GIVE PATIENTS AND CARETAKERS THE BEST TOOLS FOR TREATING WITH CANNABIS? BY REDEFINING THE EXPERIENCE TO FACILITATE GROUP AND COMMUNITY LEARNING! 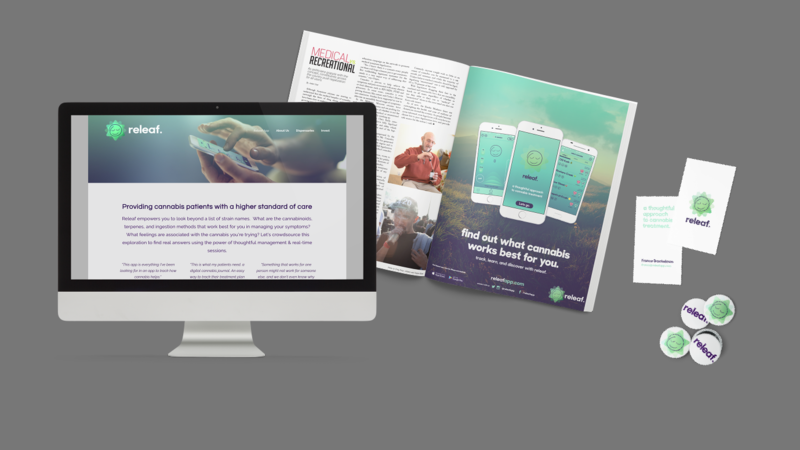 Inspired by one of our partner’s mother’s experience with chronic pain, we decided to build a tool for patients to track the personal efficacy of cannabis strains and chemotypes for a common list of symptoms. 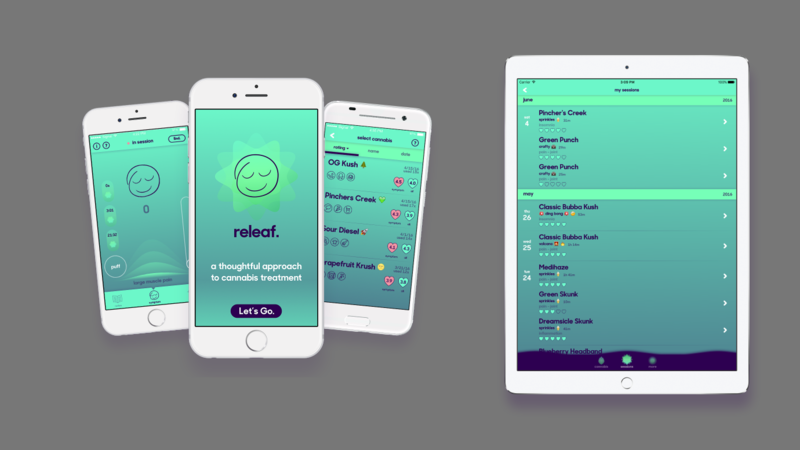 The result was a mobile app (learn more at releafapp.com) that empowers patients to track real-time sessions with cannabis to discover patterns for themselves as we look for overarching patterns. From Day 1, we’ve been prioritizing Releaf’s user experience and visual design. Because we were asking our users for a new level of mindfulness in carefully tracking their sessions in Releaf, we knew the app had to be as intuitive as possible. We created a straightforward steplike flow in the app, accompanied by helpful suggestions and explanations, to decrease the chance of confusion. In an effort to redefine a space that still carries “stoner baggage” from the past few decades, we selected a soothing color scheme for our screens and meticulously designed our smiling logo, whom we refer to as “Bud,” to emote a comforting, trustworthy, and approachable vibe. We built the entire app to be incredibly simple yet powerful, with a user experience aimed at redefining how a new audience approaches cannabis use. Live Session data, product preferences, dosing, and efficacy are tracked in personal reports that enable medical and adult users to learn what works best for their symptoms and crowdsource their explorations into the fast-evolving new world of medical cannabis. As a result, the Releaf experience is simple, easy, and thoughtful.